Today the Cincinnati Park Board and The Hillside Trust will celebrate the successful installation of the first geothermal system in a city-owned building in Cincinnati. The ribbon-cutting event will take place at 4:30pm at the Alms Park Caretaker House that is occupied by The Hillside Trust at 710 Tusculum Avenue. 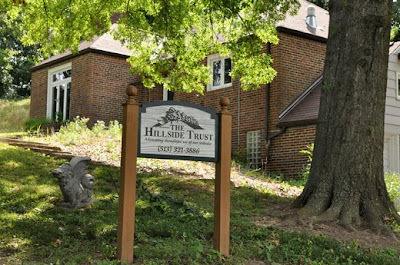 Director of The Hillside Trust Eric Russo says that, “over the past months the electric bill for the office has only been about $25 a month,” which made Russo think there was a misprint on the bill. In addition to the new geothermal system, The Hillside Trust has also installed a variety of other energy efficient features to the building including “sky pipes” which maximizes natural sunlight to light the office through an intense reflection process. The “sky pipes” within the building were one of the stops on the 2009 Ohio Solar Tour this past Saturday, October 3, and the geothermal is the first of more geothermal projects to come. Cincinnati Park Board superintendent of planning and design Steve Schuckman says that the Park Board just completed the installation of the second geothermal system in a city-owned building at the Caldwell Nature Center, and that these two projects are among the 33 Green Cincinnati Initiative projects undertaken by Cincinnati Parks.